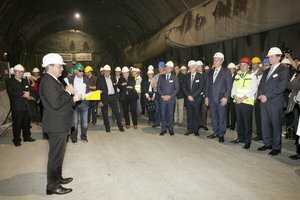 The Minister of the Interior and of Transport for Bavaria, Joachim Herrmann, the Governor of Tyrol Günther Platter, the Regional Councillor for Transportation of Alto Adige, Florian Mussner and numerous local politicians from Bavaria, Tyrol and Alto Adige toured the Brenner Base Tunnel on 06.06.2016. 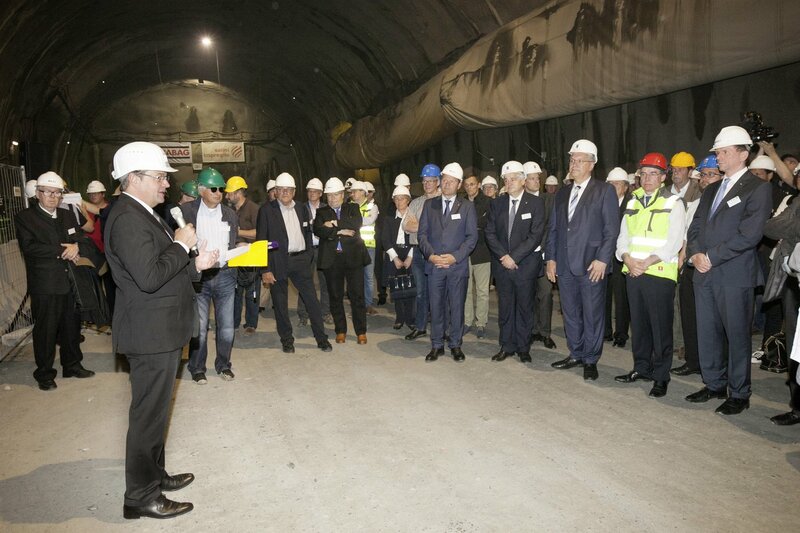 The Minister of the Interior and of Transport for Bavaria, Joachim Herrmann, the Governor of Tyrol, Günther Platter, the Regional Councillor for Transportation of Alto Adige, Florian Mussner, and numerous local politicians from Bavaria, Tyrol and Alto Adige toured the Brenner Base Tunnel on 06.06.2016. Construction on the Brenner Base Tunnel is proceeding apace. 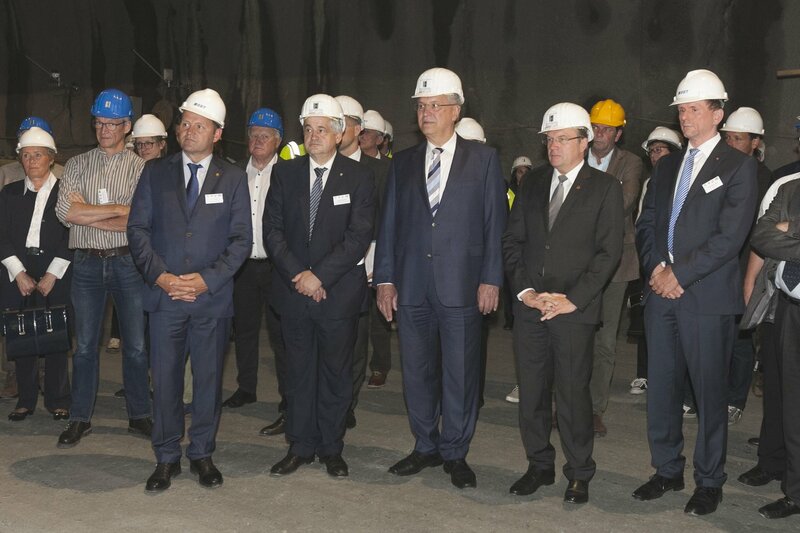 While touring the construction site in Ahrental, representatives of the towns along the planned access routes in Bavaria, Tyrol and Alto Adige were able to see for themselves the size of the structures. The tour was followed by a discussion at the Landhaus Tirol based on the slogan, Three States: One Goal. 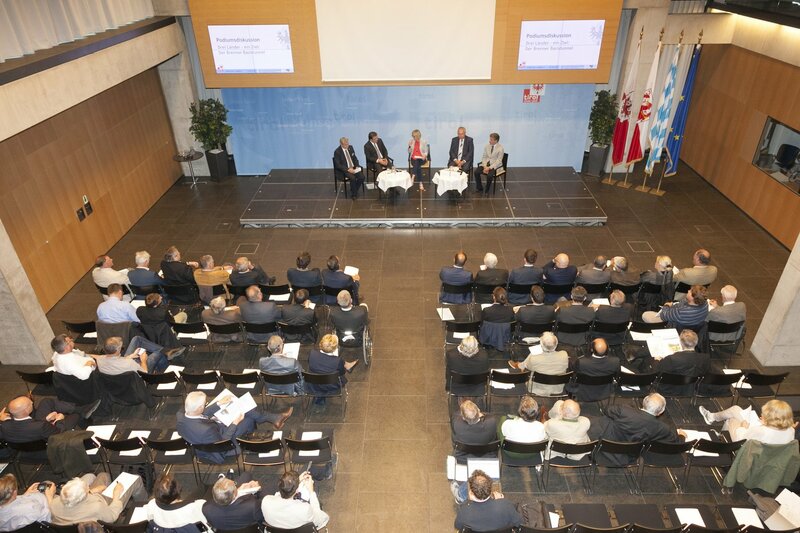 The sum total of the discussion was that with the opening of the low-gradient railway line under the Brenner in 2026, the basic requirement for a modal shift of traffic from road to rail will be in place. In order for the Brenner Base Tunnel to be fully efficient, it is necessary for the access routes north and south of the tunnel to provide adequate capacity. Konrad Bergmeister, CEO of BBT SE, explained that about 1 billion Euro have been invested so far in the infrastructure project, which has received the highest level of support ever from the EU. With the award of the tender for the Mules-Brenner construction lot this month and the next large tender procedure for construction in Austria (Pfons-Brenner construction lot) this year, 85% of all the construction work for the Brenner Base Tunnel will have been assigned. 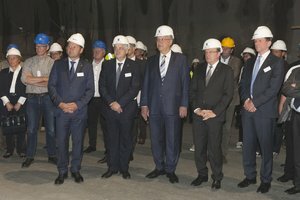 “In 10 years, the Brenner Base Tunnel will not only be the longest railway tunnel in the world, it is also the most important infrastructure project in our region. 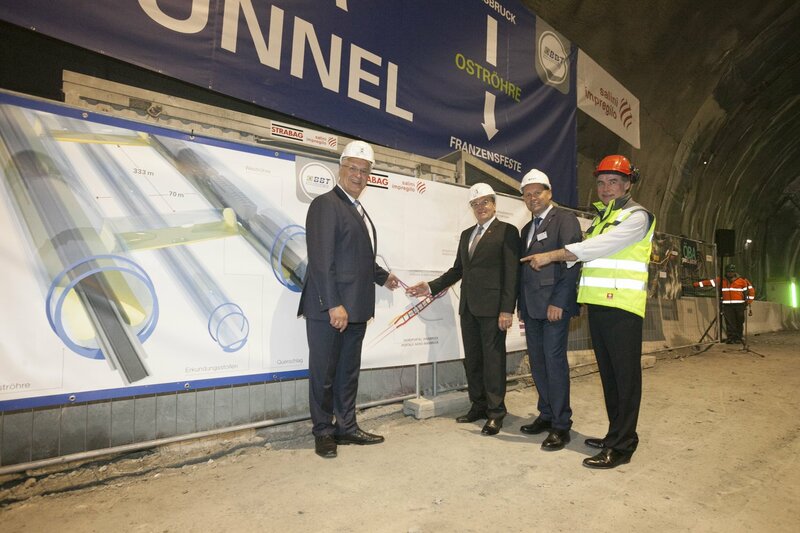 We need the tunnel, in order to shift the enormous volume of traffic on Tyrol’s roads. 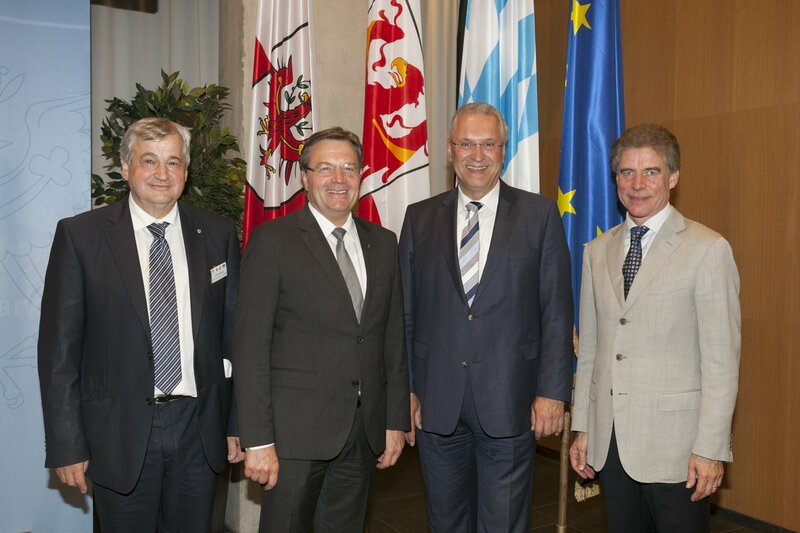 We owe it to the people of Tyrol”, noted Governor Günther Platter. To overcome the bottleneck at the Brenner, both the northern and the southern access routes are necessary. Joachim Herrmann intends to make every effort to obtain ample consent for the expansion of the access routes in Bavaria. 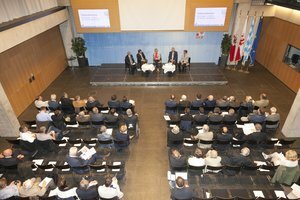 Since Bavaria’s lifeblood is exports, an efficient infrastructure for freight transport is a fundamental necessity, said the Bavarian Minister. The Regional Councillor for Transportation of Alto Adige, Florian Mussner, also promised that the planning for the Verona - Ponte Gardena access routes (the planning for the stretch between Ponte Gardena and Fortezza has already been completed) will be finished in 2018, so that the necessary work on the routes can be carried out between 2019 and 2026.